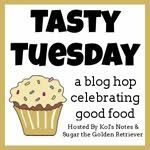 We are joining the Tasty Tuesday Blog Hop thanks to Hey, It’s Jet Here. Please hop over to visit Jet and tell him DogDaz sent you. Jet, JJ, and their human make some tasty stuff over there in Casa Jet. So… for our first Tasty Tuesday, we want to share the Peanut Butter Pumpkin Cookies that we made for Sofie’s birthday this year. We found the recipe somewhere on the internet (can’t find the link, sorry) and then improvised the rest. They were yummy good, and since Sofie doesn’t like cookies very much I needed to make sure they were peanut buttery and extra special. I cut them into stars. The girls thought they were dog yummy! Those sound delicious! We don’t get anything like that here – pumpkin pie, pumpkin biscuits, etc. I don’t even think we get canned pumpkin. They sound yummy and healthy. I love everything with pumpkin, I should try this. We love pumpkin too. But especially peanut butter (but not that organic oily kind that mom tries to get us to eat, we like the sweet stuff). Thanks for sharing the Tasty Tuesday treat recipe! I am making some dog treats for our neighbors’ dogs this year and was going to try the recipe below who helps support a dog shelter in Gocek, Turkey (http://www.youtube.com/watch?v=aGWQqHrCWOY) . Now I’m thinking I’ll try 2 different kinds – yours sound like a very dog yummy indeed! 1. Preheat oven to 275F (or 140C) degrees. 2. Combine flour, corn meal, wheat germ, bullion and garlic powder in a bowl. Stir well. 3. Add edgg, cooking oil, and water. Stir well. 4. Roll out onto a well floured surface. Cut into desired shapes. 5. Arrange on an ungreased cookie sheet. 6. Bake on the center rack in the over for approximately 2 hours (until very dry and hard). 7. Let stand overnight to dry thoroughly. 8. Store in airtight container. Makes about 10 large or 14 small treats. Thanks for sharing. Let me know how they turn out. When I was in Turkey https://dogdaz.com/2012/06/25/6-25-12-the-street-animals-of-istanbul/ I highlighted the tremendous problem they have there with their street animals. 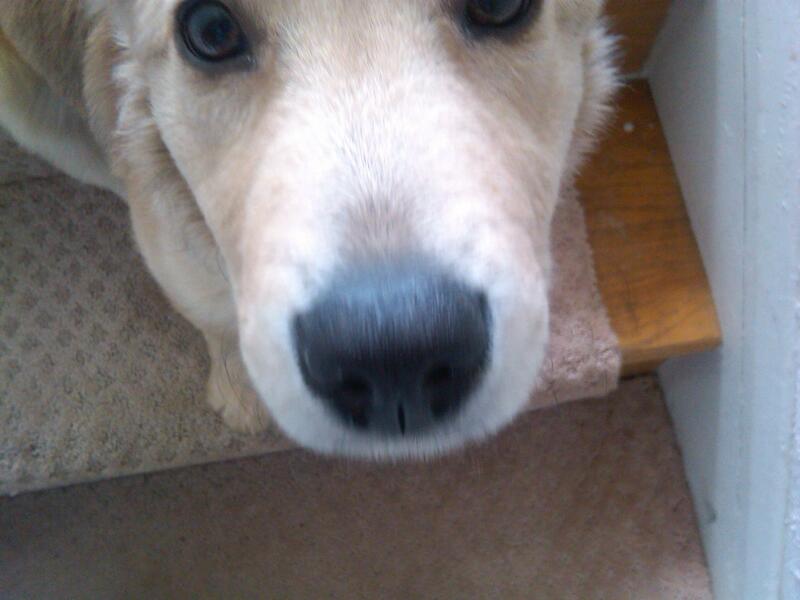 Hey Dog Daz Gang, Jet here. Thanks for the shout out and compliments to The Kitchen Counselor and her faithful Kitchen K9s! So glad you’ve joined the hop!